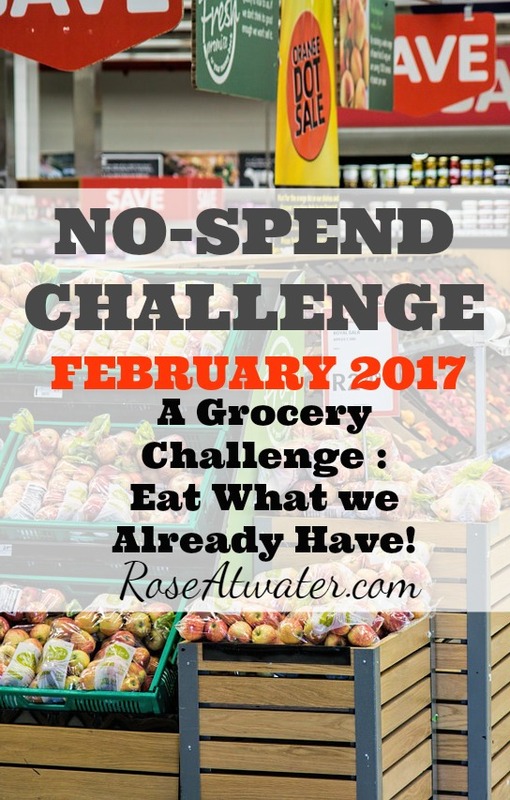 We haven’t done one of these challenges since last February (2016), so Richy and I talked and decided that we’d do another No-Spend Grocery Challenge! This all started when I stopped by the grocery store a couple of weeks ago while and grabbed a few things (fresh fruit/veggies, bread, Kleenex, frozen veggies on sale, etc.) and when I got home to put it away, I realized how packed our freezers were. I mean really, really overflowing. This is partly due to the fact that we bought 3/4 of a cow a few months ago which added almost 400 pounds of beef to our freezers plus two of my kids killed deer during hunting season, so we also have all of that meat. Add in my normal stockpiling habits and well… our fridges/freezers are F-U-L-L. I also realized when working on our budget a few weeks ago that our grocery spending has gotten a little out of control (again). I usually budget $1200/month for groceries and toiletries for our family of 8, but the average for the whole year of 2017 had crept up to around $1445/month. Eeek! Looking back over the months individually, it was definitely worse toward the end of the year (around the holidays), but the whole year was a little off track. 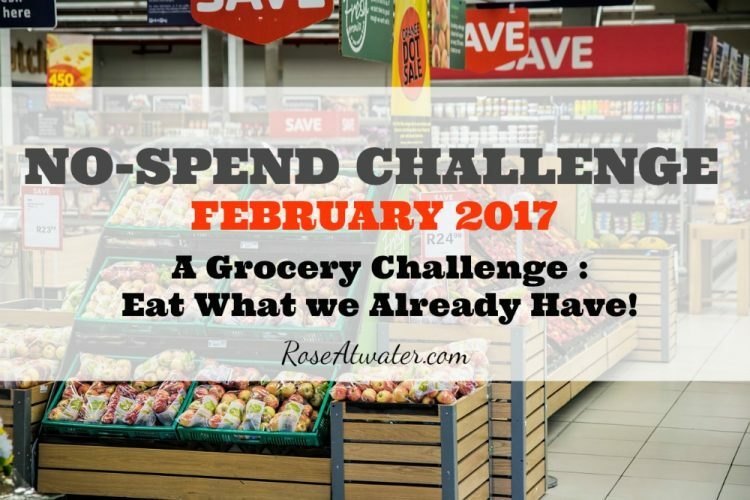 I told Richy about both of these discoveries and since we were already into January, we decided that February would be our no-spend grocery month. Hopefully cutting back on our spending for February will use up some of our stockpile and get me back into the habit of watching our budget a little more closely. We’re allowing milk and bread. We often go through several gallons of milk a week and while I can bake bread fresh, I rarely take the time to do it. I may try to this month, but I’m allowing myself a little grace to buy it. We’re allowing fresh fruit and veggies – but also committed to using up as many of the frozen fruits and veggies that we have. I’m allowing myself a little wiggle room to buy “easy foods”. Just like last year, my husband is working some long hours right now (gone 14+ hours, 6 days a week), so there will be nights where I’ll just really want and need to grab something easy to feed the kids while I work on cakes or take a bath or hide in a closet.. you know … things like that ???? . I’m hoping to plan ahead as much as possible, use the slow cooker to my advantage, etc. but still… I’m being realistic here. And here’s when I plan to write: not daily. I hope to write most days – telling you what we’re eating and how we’re using up things in our freezer. I definitely want to write on the days that we do any shopping so I can show you what we’re buying. But please don’t count on a post every single day. My life is just too busy most of the time to have that kind of goal. Alrighty… I hope you enjoy this challenge and I’d love to hear your thoughts on it. Also, would anybody like to jump in and do the challenge with me? Leave me a comment! « Does your house need decluttering? I have just started a no grocery shopping apart from bread, milk, fruit and vegetables. I make bread and scones too but I haven’t in ages. Anyway, I have already stocked up on toiletries and cleaning products so I am hoping for a no spend month. Oh wow! I would love to have 3/4 a cow in the freezerright now! I would definitely join you but we try not to stockpile too much because it tends to get lost in the freezer and go bad. We narrowed down what we keep in the freezer…mostly fresh picked fruits and veggies from the spring/summer from our own garden (when we have one) or local farmers who will let you pick on the halves or just nice church people who say hey come get whatever…we have enough for everyone in the church (we have such generous church folks). Then I buy chicken and beef mostly when it’s on sale which is about every other week and other necessities after I plan out our weekly menu. We spend roughly $500 per month on groceries and toiletries for a family of 5. Sometimes we go a little over but that’s where we try to keep it. Of course as you can imagine, we don’t do a lot of quick meals. We do eat out occasionally though and that’s not figured in with the $500 per month. This wouldn’t work for my family as I don’t have my freezer or fridge stocked. I normally by enough to get by each week. Money is tight in my home so we do the best we can. Good morning Rose, that is a great idea! I need to try that out this month too! Starting today. like you my freezer is quite full. I’ve already informed my husband that we were going on a financial diet for 2017 in order to pay off maxed credit cards, so eating what we already have will help with our financial goals as well. You give me the feeling that I’m not alone with this kind of problems on the planet. I have the same goal this month. I don’t know if I can keep my promise but I will do my best. Knowing that several of us doing the same thing at the same time give me some hope.